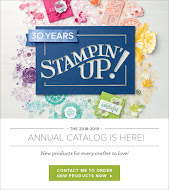 Create with Gwen: Clean, Easy Card! Finally getting around to showing off this clean, simple card which was cased from a swap card I received at OnStage Live (back in April!) created by Robyn Rasset. 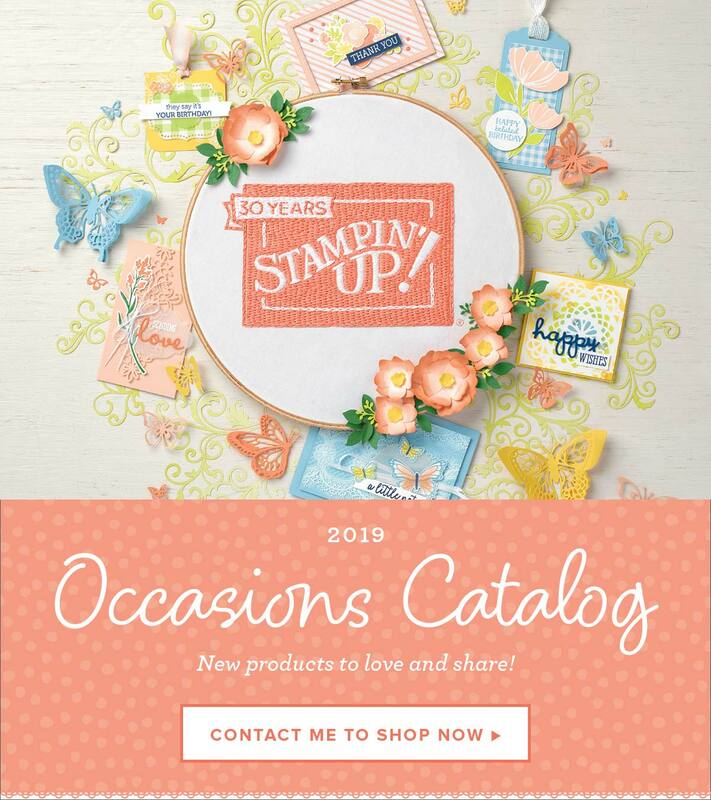 Features Stampin' Up! New 2016-2018 In Colors and the retired 2014-2016 In Colors. or even ribbon, would work perfectly! * Using a 4" x 4 3/4" piece of Whisper White card stock, cut with a scissor or a blade (I found a razor blade to be easier) making a slight swoosh look. * Line both pieces up together, and center of your card base. Remove bottom half and draw a pencil line following the swoosh. This line will be your guide. 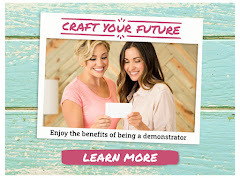 * Cut card stock or Designer Series Paper (whatever look you're going for) into 1/2" x 2" strips. A teeny bit smaller than 1/2" works great and will be inline with the border when you attach the top layer. *Line up and attach the card stock pieces right to the card base making sure to cover up the pencil line and keeping that border on both the left and the right sides. *Use Dimensionals, attach the two "swoosh" pieces to the card base leaving an equal space around all four sides, which give you the "see through" part of the card. Sweet card! Thanks Robyn, for this great idea!